A GREAT WAY TO KEEP THINGS RUNNING SMOOTHLY. Regular maintenance is one of the necessities of vehicle ownership. With a Lexus Luxury Care plan, you’ll not only secure future maintenance services at today’s prices, you’ll help keep your Lexus running at its highest levels of performance. Lexus Luxury Care covers services available at participating Lexus dealerships. Depending on the plan purchased, your 15,000; 30,000; 45,000; 60,000; 75,000; and 90,000 mile services may be covered. Receive personalized service reminders that are customized to your personal driving habits. 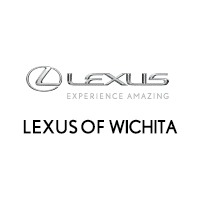 When it’s time for a visit, simply present your Lexus Luxury Care card at your participating Lexus dealership. Secure today’s prices for tomorrow’s covered services. Note: Prepaid Maintenance Plans are optional, cancellable (see terms of Agreement) and not required to obtain credit. 1 Lexus Luxury Care covers services available at participating Lexus dealerships. Coverage is effective from the vehicle’s date of first use as a new vehicle and expires at selected plan’s year or mileage limit, whichever occurs first. Date of first use is when your vehicle is retailed as new with less than 799 miles. 2 The use of synthetic grade engine oil may be indicated for your vehicle. Synthetic oil may require changing less often. Consult your vehicle’s Scheduled Maintenance Guide for factory-recommended oil grade and service intervals. 3 Services are performed at the intervals stated for your plan and vehicle. Plan terms begin at the time and mileage Lexus Luxury Care is purchased. See plan for complete details. L/Certified Prepaid Maintenance Plans provide coverage after the L/Certified complimentary maintenance1 period is complete. Services at 15,000; 30,000; 45,000; 60,000; 75,000; 90,000; 105,000 and 120,000 miles that are within your purchased plan’s mileage range are covered. Receive personalized service reminders that are customized to your personal driving habits. When it’s time for a visit, simply present your L/Certified Prepaid Maintenance card at your participating Lexus dealership. 1. L/Certified Limited Warranty complimentary maintenance covers factory recommended maintenance while the coverage is active. Coverage begins the date of purchase/lease of L/Certified vehicles and continues for 2 years or 20,000 miles, whichever comes first. Service intervals occur every 5,000 miles or every 6 months, whichever occurs first. 2. L/Certified Prepaid Maintenance covers services available at participating Lexus dealerships. Coverage is effective from the expiration (by time or miles) of the L/Certified complimentary maintenance period and expires at selected plan’s year or mileage limit, whichever occurs first. 3. The use of synthetic grade engine oil may be indicated for your vehicle. Synthetic oil may require changing less often. Consult your vehicle’s Scheduled Maintenance Guide for factory-recommended oil grade and service intervals. 4. Services are performed at the intervals stated for your plan and vehicle. Coverage is for normal operating conditions. Plan terms begin at the time and mileage that the L/Certified complimentary maintenance period expires. See plan for complete details.